1. 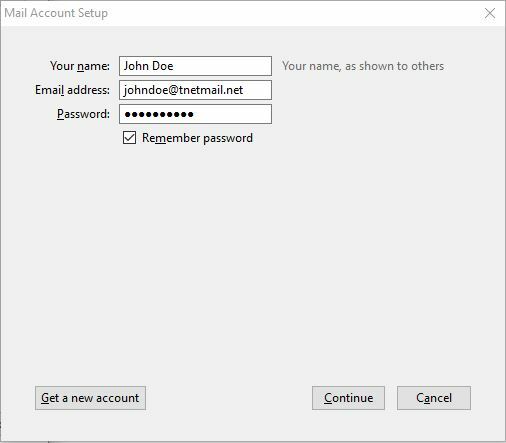 Click on Create a new account. 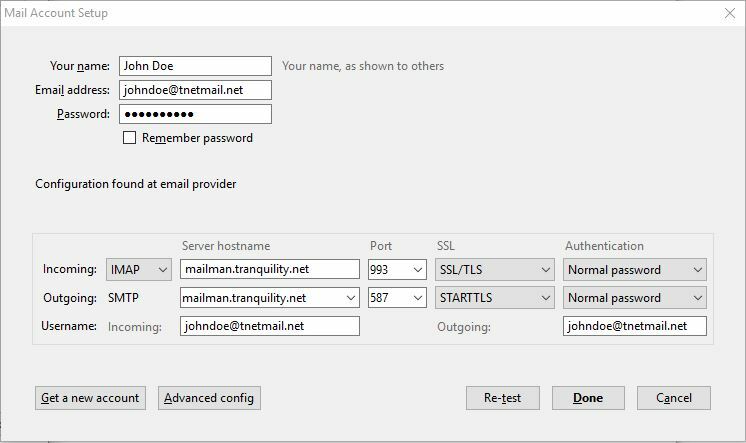 If you already have a Tranquility email account in Thunderbird and need to update your settings, click “Tools” on the top menu bar, and then “Account Settings”. Click on the name of your old account, then select “Account Actions…” at the bottom, and then “Remove account”. 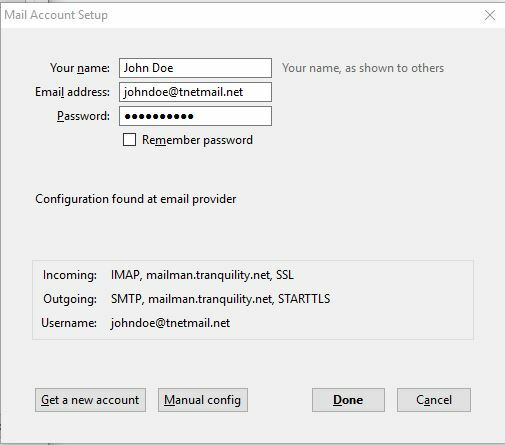 You won’t lose any mail as long as your account was set up via IMAP. Then, click “Account Actions…” again and click “Add account”. Skip to Step 3. 2. 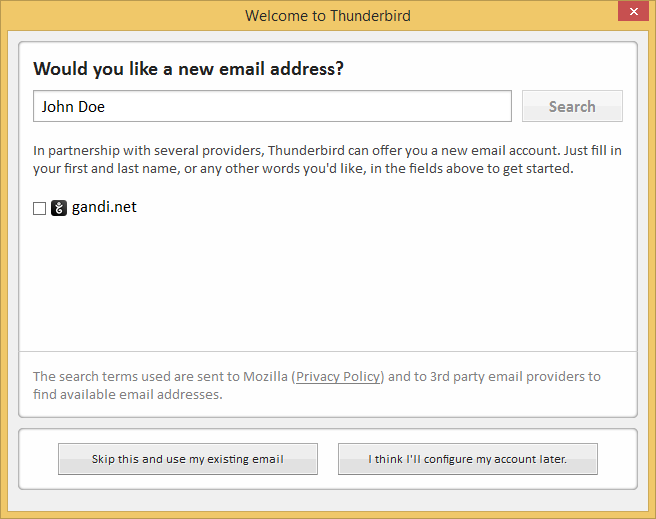 On the “Welcome to Thunderbird” window, click on Skip this and use my existing email. 6. Click Done. You’re all set! 7. Click Done to complete setup.